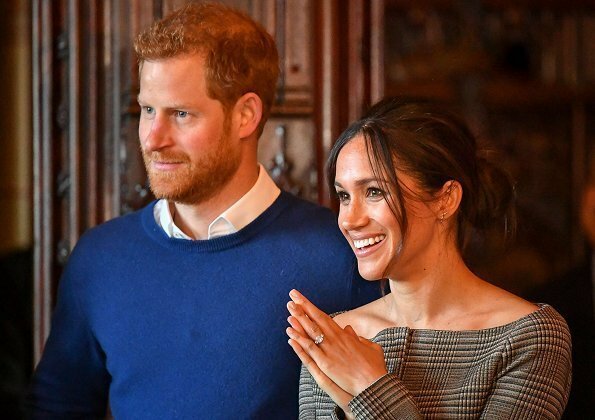 On Sunday, Prince Harry and Meghan Markle announced new details about their forthcoming wedding and thanked everyone for "good wishes" they received after their engagement in November. Press service of Kensington Palace announced a series of details about the wedding which will take place at St. George Church. Shortly after the wedding, Prince Harry and Meghan Markle will take a ride in a carriage in Windsor town where the royal castle is located. That was stated in the message of press service of Kensington Palace. ik hoop dat ze met rust worden gelaten door de pers !!! I have just noticed.....they have matching noses.